Thousands are taking part in a union protest against austerity cuts and NHS changes ahead of the Conservative Party conference in Manchester. “The march and rally will allow thousands of ordinary people to show the government exactly what they think of their policies. “Austerity is having a devastating effect on our communities and services, with 21,000 NHS jobs lost over the last three months alone. 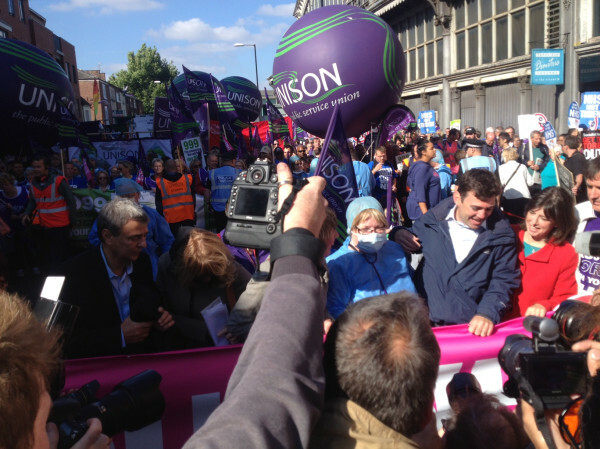 UNISON: ANSWER THE CALL FOR YOUR NHS -Why is Unison Campaigning?